Foods that torch calories and boost your metabolism! Spice up your meals! Capsaicin, the chemical that gives peppers their fiery kick, has been shown to rev up metabolism. 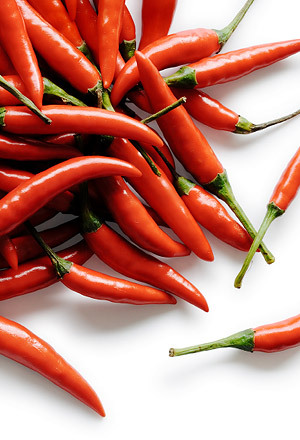 An UCLA study found that dieters who took capsaicin doubled their energy expenditure for several hours after eating.